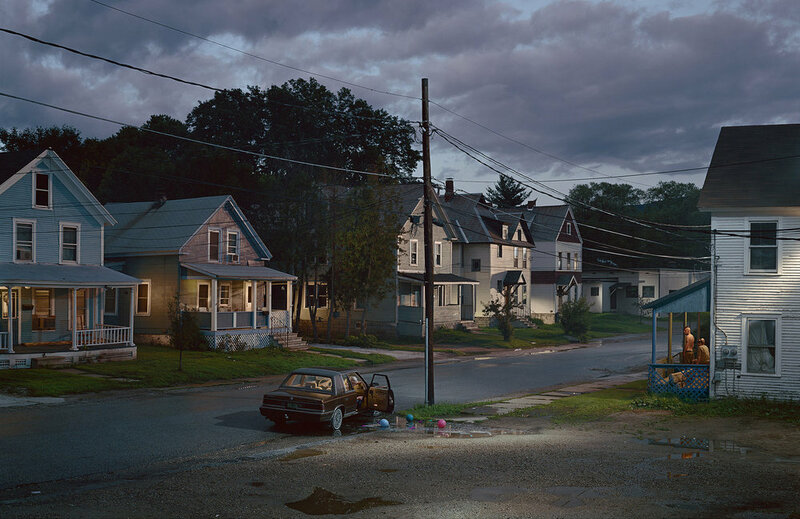 Over the holidays, my brother showed me a book of photography by Gregory Crewdson. His work is a sort of anti-Norman Rockwell Americana-esque peeks into an imagined distopic vision of the world. It's part cinematic. Part fantasy. Part Poetry. Part reality. It's art. And I wish I would have found him sooner. What makes it absolutely fascinating for me is that it combines my favorite genres of portraits with interiors ... but the interiors are often sets or just fantastic finds and the people seem so "normal", quotidian, every day gorgeousness. What an inspiration! Here are some images that I pulled, but none of them really do his body of work justice. 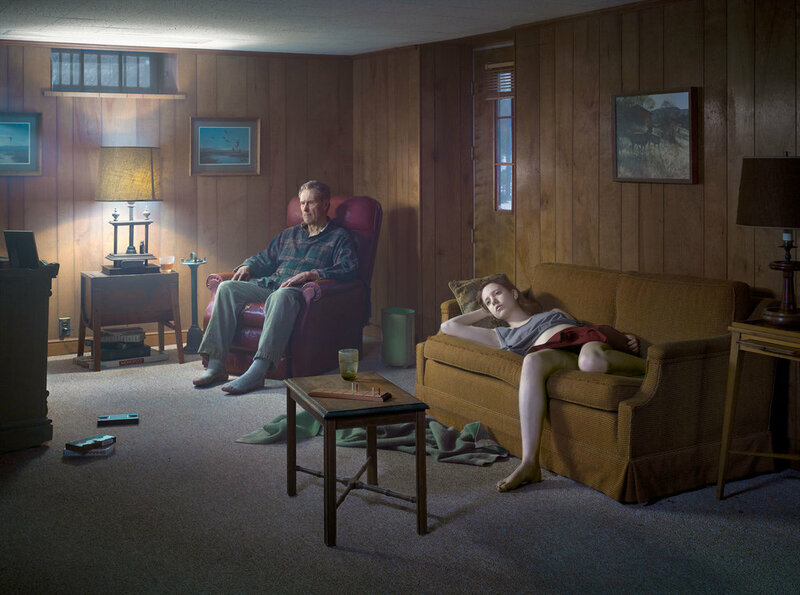 ALL photos by Gregory Crewdson.